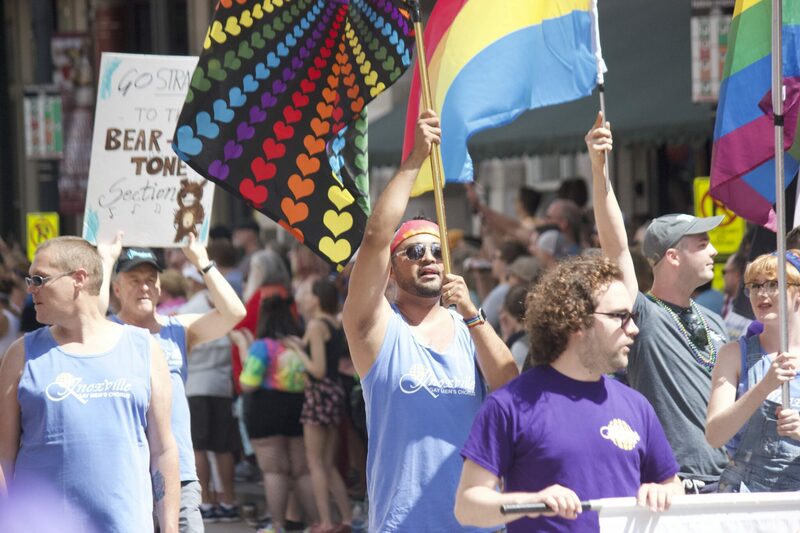 From toddlers to senior citizens, many people lined the streets of Downtown Knoxville for PrideFest on Saturday. 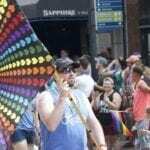 The highly anticipated event celebrated the LGBTQ community with a parade and PrideFest events at the Knoxville Civic Coliseum. Hundreds decked out in colorful clothes and face paint showed their support for Pride month and the community. While dancers and drag queens hyped up the crowd, many organizations and businesses marched to show their support for the LGBTQ community. “It’s the only time you ever see a lot of happy people and no hate involved,” Tim Carmichael, member of the Knoxville chapter of Prime Timers, said. Prime Timers, a worldwide organization, supports older gay or bisexual men often isolated by family and friends because of their sexual orientation. Prime Timers works to support and connect the older gay community and socialize. Although progress continues for the LGBTQ community in 2018, many argue that room for improvement remains. Tennessee Equality Project began as an organization advocating for marriage equality rights but expanded during the past 14 years. The organization hosts workshops at businesses and hospitals to educate locals and encourage welcoming behaviors toward the LGBTQ community. 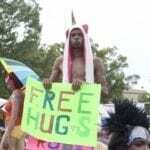 Initially, pride parades were not acts of celebration, but acts of protest in memory of the Stonewall Riots of 1969 when fights ensued between police and customers of the Stonewall Inn, a prominent gay bar in New York City. 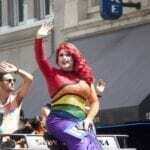 Now, parades celebrate strides made by the LGBTQ community.